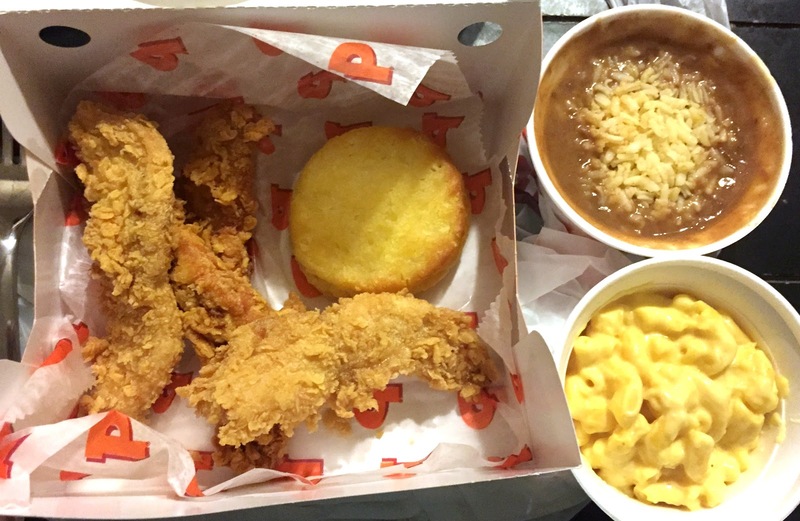 Restaurant Review: Popeyes Louisiana Chicken | The Food Hussy! 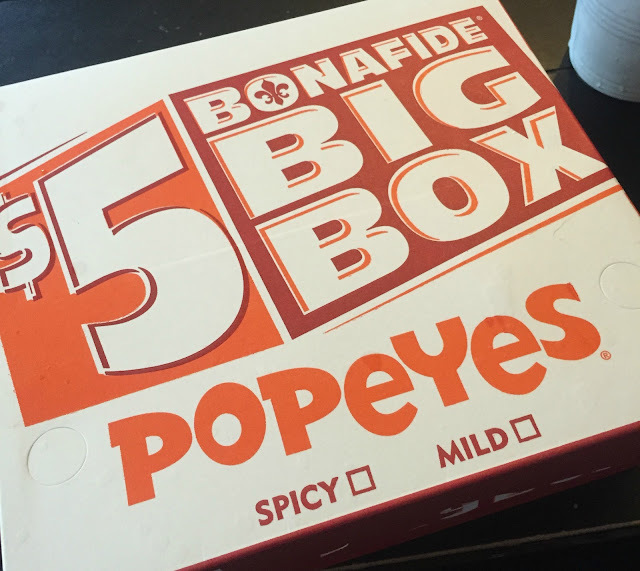 We got a Popeyes up the street from us now - it opened last fall on Colerain. Everybody and their dog was going for months - every time I tried to go - the line was around the whole store. Finally - the crowds have died down - so I was able to check it out. They have quite a few $5 Big Boxes - I'm not really sure what quantifies a big box - but it seems like everything I order comes in one. I've been ordering the 2 piece bone-in or the tenders meal. Because it's so close to my house - I've gone back multiple times and tried different sides to see what I like. This time was cajun fries - I don't know why they were "cajun" - except maybe some seasoning - that I couldn't really taste. I always get dark meat chicken - I'm just not a fan of chicken breast from a restaurant like this - they tend to be dry. I like thighs & legs. I get one piece spicy and one piece mild - the spicy isn't too spicy but I like it. I like having one of each - then it's a surprise when I bite into it. 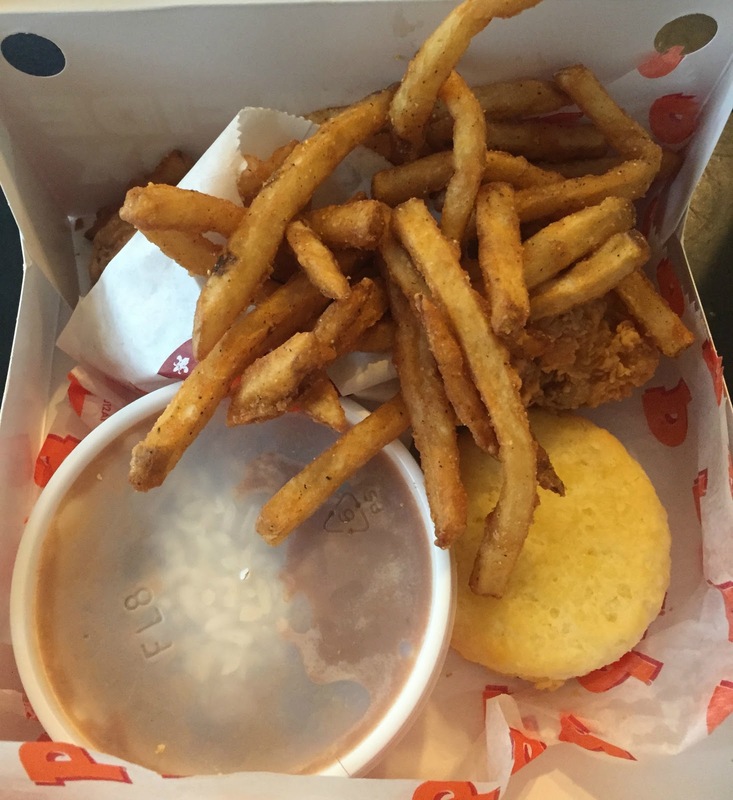 The breading is very crispy - it also is not Larry-friendly in that there are eggs somewhere in the process - so Popeyes dinners are Heather-only. The dark meat though is very juicy and I really like it. 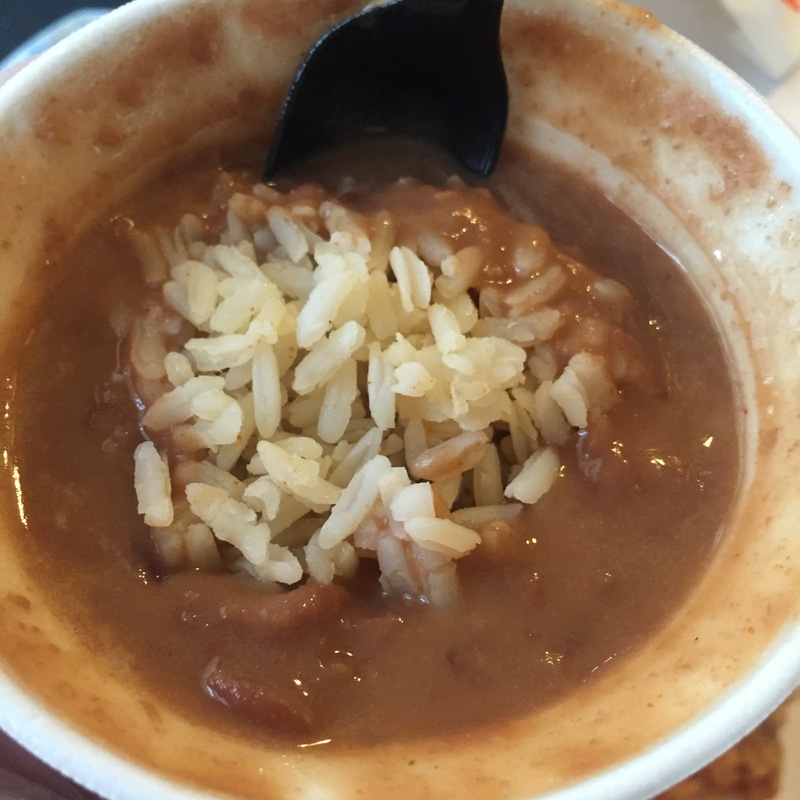 The red beans & rice I loved - it's great every time. I don't know that it is in any way authentic but I like it nonetheless. I also tried the tenders and was a bit surprised at how much different they were. They were rubbery and just not good. Right now they have a Smoky Garlic Chile Chicken - but it's only in the tenders - so I'll avoid it. The biscuits are my favorite - I like them so much more than KFC - they're really buttery and don't need any toppings. I also tried the mac & cheese - it's very creamy and cheesy - I loved it - but you have to really like it creamy. Why Should You Go? 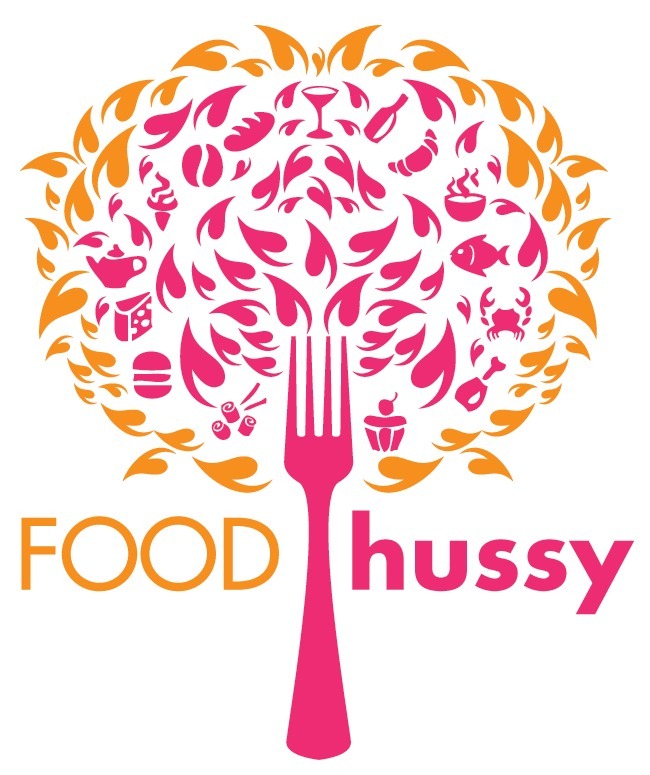 If you're looking for a new fried chicken place - give it a whirl! I like the sides and chicken better but the tenders are a no-go.